Dark roast coffee not only has a richer taste than coffee roasts, but the roasting process also makes a coffee that’s smoother. This makes this type of coffee great for just about any coffee preparation method available—from drip-coffees to the Italian coffee preparation to even cold brews. And it’s this universality that’s contributing to the increased popularity of this type of coffee. Unfortunately, not all dark roasted brands are equal. That’s because a lot depends on not only what type of beans the coffee manufacturer selects but the time and method they use to darken their beans. This makes some brands more inconsistent than other brands. Which is why we’ve weeded out the poor brands and have presented only the best dark roast coffees available. These dark roasted coffee beans come from Indonesia and South America and are carefully roasted at the base of the Rocky Mountains. These whole beans are Fairtrade Certified and are also Certified to be Kosher and Organic as well. When ground and brewed, these beans produce a flavor that has notes of molasses, licorice, and chocolate malt, although at times it can be somewhat bitter. Having said that, it’s still a great dark coffee that many people will appreciate. These dark roasted whole coffee beans arrive fresh and grind up to a nice coffee. Although their bag is a little frustrating to close at times, the product within it is of exceptional quality. It’s a blend of Arabica beans sourced for Columbia, Guatemala, and Sumatra, and has a bold flavor profile that’s never bitter. Its low acid profile makes it ideal for a variety of gourmet drinks from espressos all the way to cold brew coffees. Using a blend of quality beans from around the world and dark roasted by master roasters, it’s easy to see why this coffee taste so good. Although it can get bitter overtones if too much of it is used in the coffee maker, for the most part, it brews up with a rich and complex flavor profile. It’s contained in a bag that keeps the grounds fresh and it’s a good blend for drip, French press or cold brew brewing methods. Using a combination of beans sourced from El Salvador, Sumatra, and Guatemala, this high-quality coffee has an interesting taste profile that’s not really replicated by any other blend of beans. It has a flavor that can only be described as fresh and has notes of sweet caramel mixed into it. These beans also have a nuttiness that really comes through its after-bite. Although it may not be strong enough for everyone, we found it to be an interesting dark roasted coffee. This coffee calls itself Octane Italian Roast, so it’s not surprising to expect a coffee with an extremely bold flavor. However, that’s not the case. Although it does have a bolder flavor than some comparative coffees, in our opinion it doesn’t go far enough. Having stated that fact, it’s worth mentioning that it’s still a great coffee with a smoky flavor that finishes with a nutty afterbite. It is a nice blend of Arabica and Robusta coffee beans that will make quite a few people happy. This quality blend of whole beans have a tangy red fruit taste to it, but those citrusy notes don’t become bitter the way they can in other blends of coffee. This coffee is made from 100% Arabica coffee beans and is available in either 2-pound or 5-pound bags. This product is roasted and packaged in the United States, so coffee lovers should always receive beans that are nice and fresh. Overall, it’s a quality product that makes great Italian espressos. This dark roasted coffee is made from beans that come from a single source, and that source is Huehuetenango, Guatemala. They taste very much like baking spice that’s been mixed with a lot of woodsy aromatics. Although this woodsy flavor may be a little strong, this coffee does have a tendency of finishing smoothly. And since it has very little acidity, it’s great for brewing in your automatic drip coffee maker, for making Italian espressos, or for making cold brew coffees. This artisan blend of dark roasted coffee beans not only has a nice rich flavor but it has an amazing aroma to it. 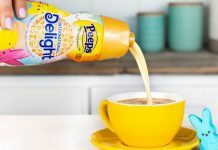 It’s made from USDA certified organic coffee beans that have a bold profile, although, in all honesty, it could’ve been a little bit bolder tasting than what it was. It comes in 5-pound bags and is perfectly roasted and always fresh tasting. And it’s always smooth and never has a bitter aftertaste. Although these beans seem a little bit oilier than other dark coffee beans, it’s flavor and aroma will make most people forget all about it. This product is sourced from Honduran coffee beans that are organic, fully-washed and patio dried. They have a chocolate taste profile, and a silky smooth body that’s has a low-acid level. This makes this coffee suitable for almost any coffee brewing method including drip machines, French presses, cold brews, and percolators. Although this coffee has an ominous name, it’s really a well-blended coffee that contains notes of bittersweet chocolate and hazelnuts. However, don’t get us wrong, just because it has a smooth taste doesn’t mean it doesn’t deliver quite the punch because it does. In fact, this coffee has a caffeine punch that’s likely to sneak up on a lot of people. And although it costs more than other blends, it’s a sweet combination of Indian and South American beans are sure to satisfy. 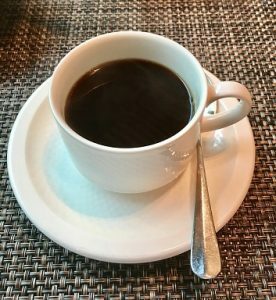 There seems to be a lot of guides on the Internet about the other coffee roasts, but very few resources have been dedicated to talking about dark roasted coffees. 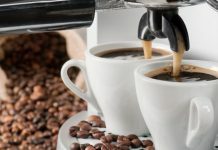 Perhaps, this is because medium-roast and light-roast coffees are more popular, or maybe it’s just because no one has really given much thought to this type of coffee roast. Fortunately, we’re solving that problem right now by telling our readers everything we know about this type of coffee. So without further ado, let’s jump into our thorough and complete dark roasted coffee discussion. Which Beans Make The Best Dark Roast Coffee? Although just about any coffee bean can be dark roasted, some beans do better with the dark roasting process than other ones. That’s because coffee beans have to be roasted longer than they are with medium-roast beans and this results in caramelization of the outer hull of the coffee bean. As a result, beans that have a higher sugar profile usually make for better dark roasted beans. Below are a few of the best coffee bean varieties that make a good dark roasted coffee. Of course, only some people will want to buy single origin coffee beans. Most people will want to buy a dark roast coffee that’s blended from several different types of beans. This allows each coffee to have a flavor profile that’s unique to it and gives the coffee fan a lot of options. Dark roast coffee comes in a number of different varieties, and each of them is slightly different from one another. Although we don’t have the space to go into details about the individual dark roasted blends, we can list some of the more popular ones below. What Coffee Drinks Can Be Made With Dark Roasted Coffee? You can make just about any coffee with dark roasted coffee beans or grounds. It works well for automatic drip coffee makers and also does pretty well in percolators. Where it really excels, however, is in milk-based drinks. Dark roasted coffees are good for cold brews like the ones Starbucks make, and for espresso drinks as well. Coffees such as macchiatos usually depend on the strong flavor of dark roasted blends to rise up through the dairy products to the coffee lover’s lips. What Else Can You Make With Dark Roasted Coffee? Step One: Mix the whole milk, cream, and sugar in a medium saucepan and whisk them together over medium heat. Make sure that the mixture doesn’t come to a boil and be sure to whisk constantly. Step Two: Add the dark chocolate and allow it to melt. Make sure the chocolate is fully melted before continuing. Step Three: Remove the mixture from the heat and set aside. Step Four: Add two ounces of dark roasted coffee to each cup. Pour the chocolate mixture on the coffee until the mixture is about an inch away from the rim of the cup. Step Five: Top with whipped cream and chocolate shavings, if desired. Step Six: Sprinkle some freshly grated nutmeg on top of the whipped cream. Step Seven: Enjoy your hot cup of holiday chocolate! And finally, we want to talk about how dark roast coffee should be brewed. 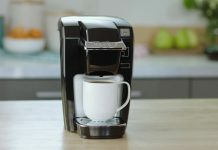 Although there are plenty of people who simply throw this type of coffee into their automatic drip coffee maker and end up with a fine pot of coffee, dark roasted coffee can be made even better with a little thought given to its preparation. Below are some tips for making a better cup of dark roasted coffee.